valentino rossi’s new project was kick-started in 2010: to construct a space for training young riders, the ranch. it all began more than twenty years ago when he rode a motocross bike with his father, among junk and building rubble, along the disconnected paths of an isolated quarry in the province of pesaro urbino. the young champion he decided to construct the official track of the vr46 academy in tavullia, on 1600m of dirt road with the conviction that training on the land helps you to go fast also on the track. the hilly landscape gently surrounds the boundaries of the ranch. in front of a renovated farmhouse that contains the museum, the workshop and various rooms of the motor ranch, a stretch extends where the riders train: tracks that are ordered and designed with a series of regular and rounded bends that lie on different levels of the hill. among these, a soft cross one, formed by two ovals of which the outer measures 570m and the ‘tt’, a narrower and more technical climbing stretch. in total 2 and a half kilometres of limestone and a mixture of calcareous rock fine-tuned over the years; in fact the track grew little by little, to find the right balance with the best road holding and least maintenance time. the ranch is fundamental to the vr46 academy plan, the first italian academy of motorcycling, because young riders can race alongside the master, learning his style and way of driving, the result of decades of competitions. it’s a place of inspiration, teaching and transmission of values. it isn’t an exclusive circle but a space open to all riders who want to challenge valentino rossi and his pupils. the project, an actual historical restoration intervention on pre-existing farmhouses, still hasn’t been completed: today, close to the track, there’s a dressing room, a workshop, a room where riders eat, the pressroom and the office for managing the races. nearby there’s another rustic building to be renovated to house the gym which, together with the track for cross, flat track and athletics, will be part of the future of the motor ranch. 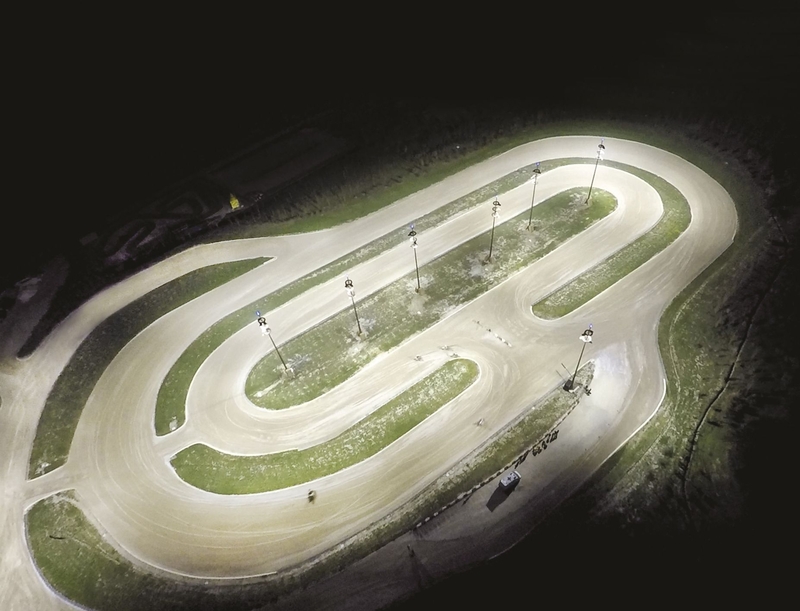 the first goal achieved was the creation of the lighting system which permitted prolonging the training hours and using the track even in the absence of natural light. 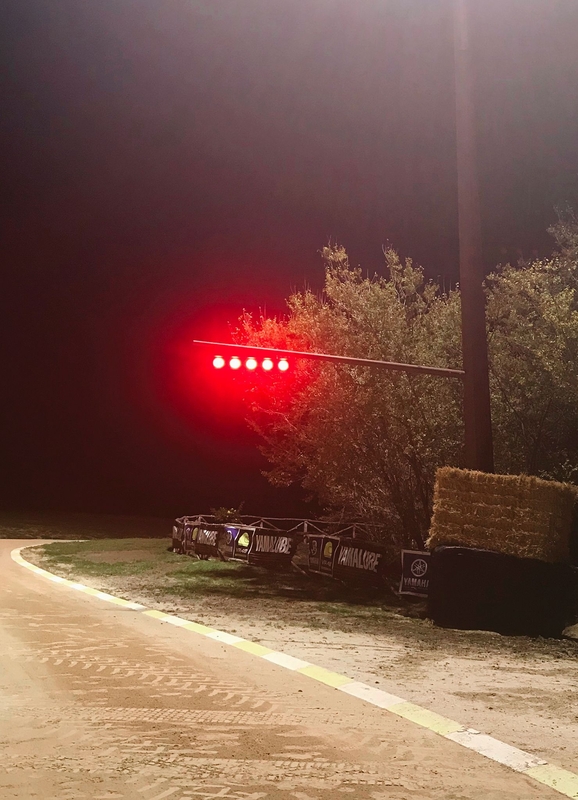 collaborating with engineer domenico fucili, technical coordinator of the facility, and alberto tebaldi, md of racing apparel and test track, Viabizzuno has created a lighting design of great quality. eight poles: six positioned in the centre of the rings and two including remote controlled traffic lights. eight ground anchors inclined at 2 degrees have made these structures, which stand 25m high, elements that are organic with the landscape. by studying the various heights between the straights of the outer ring, it was decided to place the poles in the space in accordance with different centre-to-centre distances, alignments and inclinations in order to achieve a homogenous illumination that reflects the values required by the italian motorcycling federation regulations: average illumination 80lux, uniformity equal to 0.5. one metre high fibreglass spires of coloured light stand on the great steel poles, housing an rgb system that creates drapes of light above the arena. 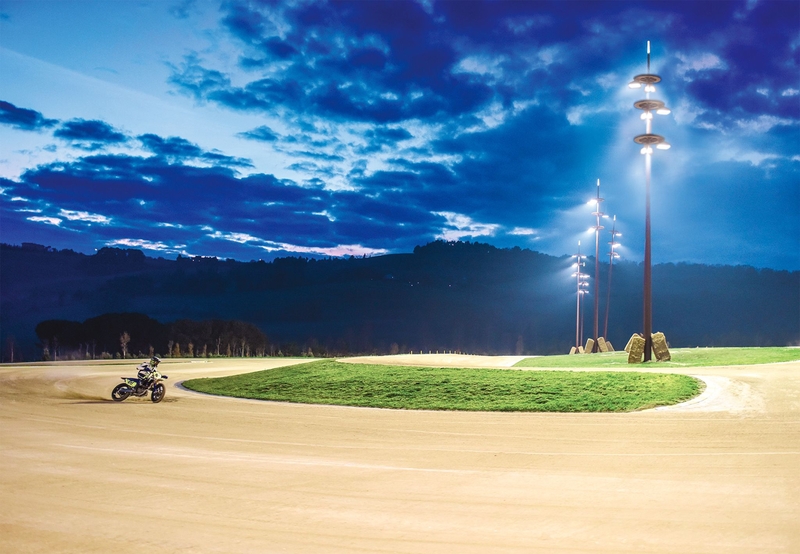 the crown of hills that embraces the completely illuminated ranch creates a unique landscape: an arena where riders can continue their challenges even without daylight. 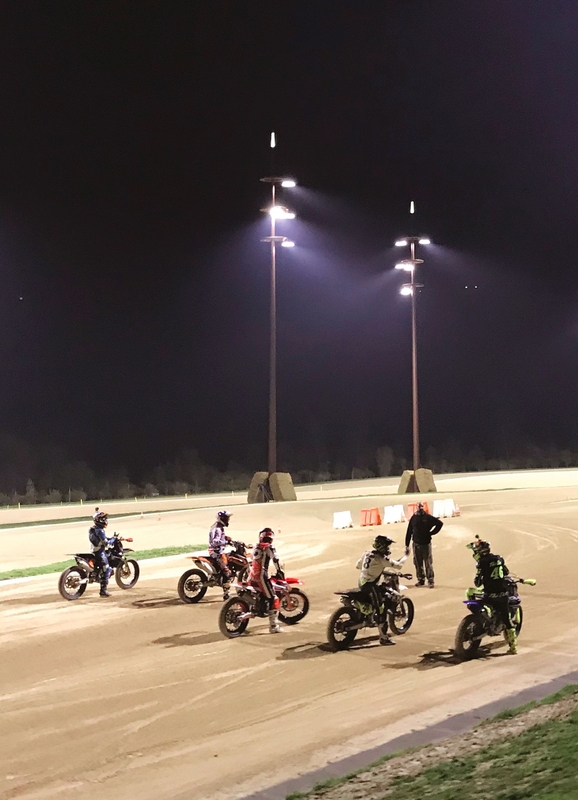 flat track: variant of the track racing, a form of motorcycle competition in which single riders or teams face each other on unpaved oval circuits, as the speed way runs on flat slopes of gravel, shingle or sand, which competitors exploit to drift, or to get a controlled heel. unlike the speedway bikes, completely without brakes, the flat track bikes are equipped with only the rear brake.